Are you a veterinary student? Didn't roll around in the mud enough during your pig rotations? Never touched a chicken in your life? In this 2-hour, NAVLE VETgirl recorded webinar, Dr. Kathy Earnest-Koons (pig-guru from Cornell University) and Dr. Ian Rubinoff (poultry veterinary expert) provide a review of swine and poultry disease for NAVLE board preparation. While this is a recording, we'll have our two speakers live at this time to answer any of your questions at the end of the webinar! Join us for a fantastic review of the common diseases and husbandry problems (including skin and infectious disease) found in the swine and poultry industry. Underlying infectious causes, clinical signs, and pertinent necropsy findings will be reviewed. Note: This FREE webinar has no RACE-CE approval, as it's focused for veterinary students! Are you a veterinary student? 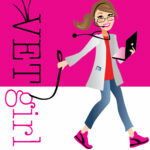 Did you know that veterinary students can receive a FREE, complimentary VETgirl ELITE membership? CLICK HERE! Not a veterinary student, but looking for clinically relevant, practical, and convenient CE? Subscribe today to become a VETgirl ELITE member, which provides you over 30+ hours of RACE-approved, online veterinary CE/year ($249). That way, you know that you have flexibility to view any of our webinars when you have time. All the webinars are recorded and can be viewed 24/7 after their release date for CE credit.